Pioneers in the industry, we offer horizontal paint grinding mixer from India. 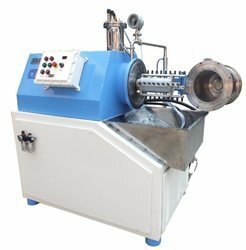 Horizontal Paint Grinding Mixer These are made from very high quality raw material which ensures high durability at its user end. These are in high demand in the market. Different sizes and designs are easily available in the market. Our Mixer are available at industrial leading prices.